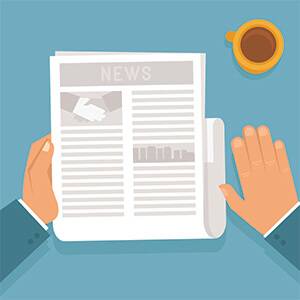 Is your practice creating and sending monthly newsletters or e-newsletters to patients? You and your team might spend several hours preparing the articles and content. But, is that what patients want to read? And, does it encourage them to see you for PT? Your direct marketing needs effective patient engagement strategies to be truly viable and drive business for your clinic. Patient engagement strategies can include newsletter content, e-newsletters, email marketing, social media marketing, incentive programs etc. These strategies should have different tactical approaches. They also might be segmented to best fit the target audience. However, all patient engagement strategies should share a common goal. Get patients to make appointments for physical therapy. For your practice newsletter (and e-newsletters), this goal can be achieved by providing relevant content. Patients should want to read and interact with the content. Also, it should demonstrate the benefits of PT. Most practice newsletters follow a similar format or template each month, which creates economies in terms of marketing planning and content creation. This also sets the reader (aka patient) up to know what to expect from your newsletter. For example, the New York Times runs the same sections every day. Subscribers know that they can find headlines on the front page, business, sports, fashion, and lifestyle news inside. There are also operational sections for real estate, classifieds, and advertisements. For special events, such as a presidential election, there might be a special section to provide additional coverage of key topics. For your practice’s newsletter, establishing these sections is the first step in your patient engagement strategy. Every newsletter should have at least one article that dives into a medical condition or physical therapy treatment, such as back pain or shoulder pain. But what else should you be sharing with readers? are a great tool and educational asset to share with patients. You can either match the exercise series to the newsletter topic or provide total body exercises. Try to have these fit on a single page of the newsletter so that patients can tear off and save for future use. share your patients’ results and add credibility to your care. Try to find testimonials that are descriptive and meaningful, avoiding those generic one-liners. Also, consider having a featured patient of the month—someone who is being discharged and has really seen great results in PT. Take that patient’s photo with their therapist and add that to your newsletter. You can also have a Patient of the Month wall in the office with framed photos of the winners. can engage patients who might not be ready to come back to PT, but who want to stay involved with your practice. Add a list of the next month’s events to your newsletter and include icons or images to break up the text. If you have more than 5 events, prioritize only the top ones to include in the newsletter. It can become information overload to see 10 events listed. help introduce new and current staff to your patients. Be sure to include office and administrative staff as well. Often they are the voice on the other end of the phone and being able to put a face to the name helps patients feel connected with your practice. can be truly helpful if they are meaningful and new. Try to tie in seasonal tips or ones that are specific to your patient population. Have snowy winters? Do a tip list for shoveling snow and include both PT related and general advice, such as how to shovel and how long to stay outside in the cold. If you have a lot of senior patients, consider a list of rainy day ideas for playing with grandchildren or recommendations for kid’s movies to watch with grandma and grandpa. Your practice marketing and patient engagement strategies need to be tailored to your clinic and its patients. Successful campaigns are those that are relevant, fun, and informative. Focus on local events or activities, seasonal content, and demographic-specific information to really see results from your monthly newsletter. Want a content and patient engagement strategies assessment from our expert team? Give us a call today!